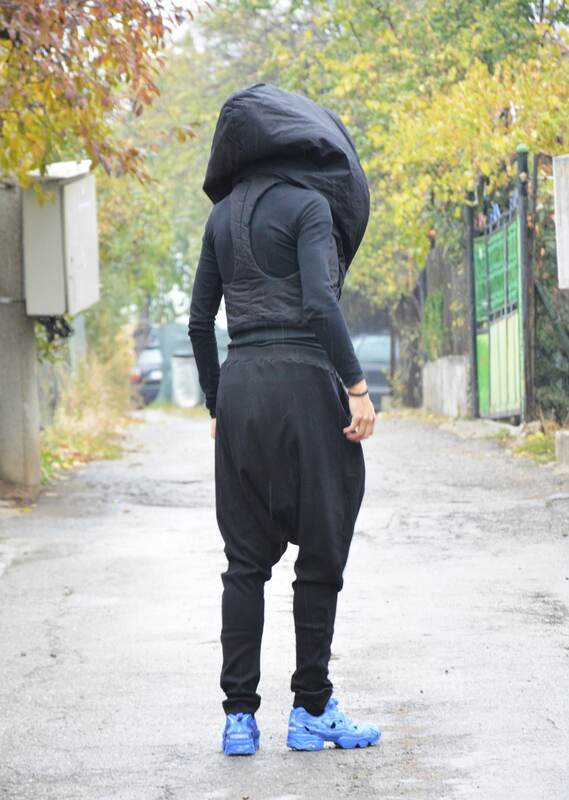 Comfortable black loose drop crotch pants. I love wearing those pants! Practical, soft and interesting pants with deep bottom and pockets. .Designed to make you look taller, slimmer and more feminine.